on that page you will see a link to Product Training > Read More (under the article) with take you to a page sporting the video (http://fernleafconsulting.co.uk/FLWP/portfolio-view/human-resources-add-new-user/). Another video is in http://fernleafconsulting.co.uk/FLWP/portfolio-view/balanced-score-card-introduction/ with a much larger video. Both videos started playing back in the embedded player without an error. Removing [hilite mono]fernleaf/[/hilite] solves it and I could download the PDF. You don’t need to include the bucket’s name there, that’s in your s2Member configuration for the Amazon integration. If you had in your bucket a subdir named “fernleaf” and the file inside it, then it’d be correct, but the file isn’t in a subdirectory of the bucket. As for the bucket content here you are. Thanks. In your Video Test page I changed the filename you had there (test.mp4) to the one I see in the screenshot (video.mp4), and it’s now working. Everything seems to be working okay. Are you still having a problem I may have missed? It’s better to fix that because there are other URLs that can be quite long and you don’t want them 414’ing and causing trouble with the transactions. You say you have little else than s2Member installed yet, could you deactivate that too and test a wrong login to see if the problem goes away? The error message is WordPress’, not s2Member’s, so other than an incomplete WordPress installation or a plugin changing it, or the theme, I don’t know what’d cause it. Thanks for the update! I’m glad you sorted out the long URLs problem, and I’m sorry you couldn’t find the reason behind the failed login error. I hope you manage to fix it or that it doesn’t give you trouble beyond that. So sorry I had not seen it before. It’s always good to make backups before changes like this, so you can easily go back to what was working if things go wrong. Do you have the correct bucket in your S3 integration? Is the file in that bucket? Please check the casing too (names are case-sensitive). Well, the integration with S3 and CF seems to be correct, at least it’s trying to load the file from there. The error I get is about the missing signature. I checked the URL and it does have the variable in the querystring, but it doesn’t have a value. So I looked in the code and see that it gets base64 encoded in files-in.inc.php, but there must be something not working if nothing is returned. I know it worked for a while, but it isn’t know, and I wanted to make sure it wasn’t something that changed recently, better to make sure since we still don’t know what’s causing it. I’ll ask Jason what he thinks. Thanks! I forwarded it to Jason. I investigated this and found the following. 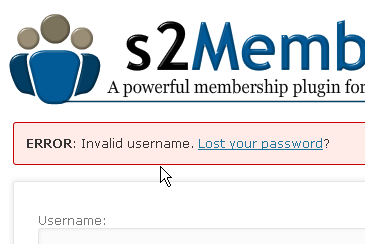 In short, this is caused by an invalid Private Key entered into s2Member’s configuration panel. s2Member is unable to generate an RSA-SHA1 signature because it has no valid PEM file to use (e.g. a valid Private Key). Please direct this customer to their Dashboard here to correct the problem: [hilite path]Download Options -> CloudFront -> Private Key[/hilite].